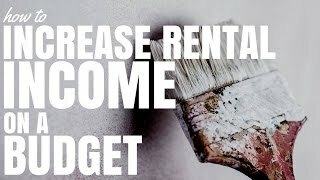 How To Increase Rental Income On A Budget - Tip #4 Is Genius! How To Increase Rental Income On A Budget - Tip #4 Is Genius! Being able to increase your rental income is a skill as an investor that will help you increase your return on investment and will allow you to grow your property portfolio more quickly. It means you’re getting more money in the bank, you can service more loans, you can save deposits quicker and all that good stuff. 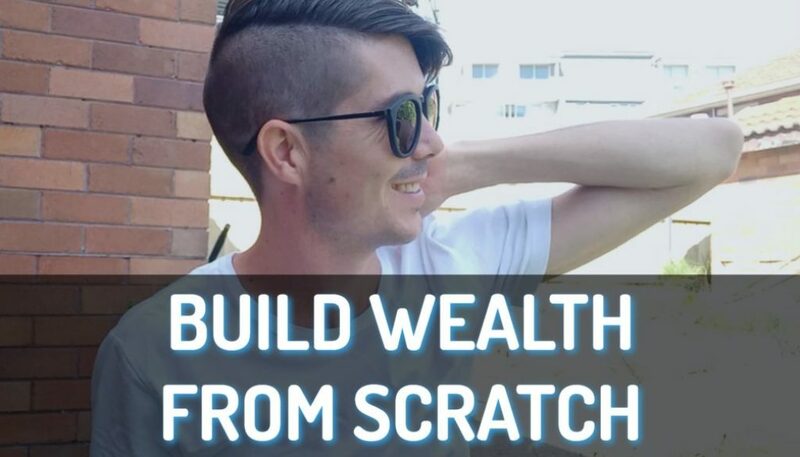 So what are some ways that you can increase your rental income on a budget on a shoestring without spending a great deal of money? When I was a tenant back in an old dodgy half a house in Miranda in Sydney which is on the southeast inside of a Sydney. We moved into that property and the rental income when we moved in was $300/week. Now as young people who wanted to live in a high standard of a property but didn’t have the money to do it. So we made some improvements to that property and when we left just 11 months later of that property was rented out like that in a snap for $350 per week. So you’re looking at almost 20% increase in rental income in just 11 months in a market that wasn’t growing, definitely not growing at 20%. So what are some of the things that we did and how can you increase your rental income as an investor. 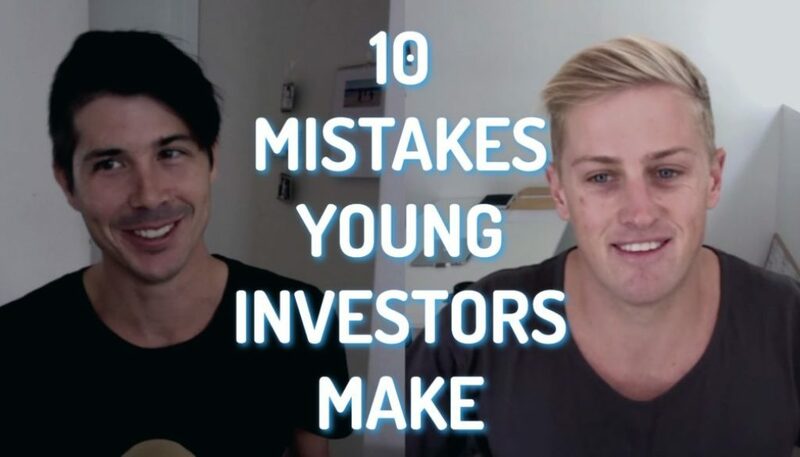 Tip number one is the most simple one and the one that many investors fail to do and that is to charge market rate rents. What a lot of investors do is they get a tenant in and the tenant pays their rent on time (believe it or not) and they’re good tenants so they don’t increase their rent because they obviously they’re too scared that the tenant is going to go away and they’re going to have the problems finding a new tenant, plus the costs that go with that. So what do they do? They leave the tenant at the rent that they are at. Six months go by, 12 months go by, they still don’t want to lose that tenant and so they leave the rent as it is or they might increase it $5 or $10 a week. And before you know it you got a situation like my mum had in her building where she was paying $305 (I think it was) for a property and the one below her (exactly the same property in terms of floor and space for just one floor below), and there is little old lady in there who had been in there for 10 years and she was paying about $170 in rent. So that investor, because he was too afraid to lose a tenant didn’t want to raise the rents and was missing out on almost half of his rental income as time went on. Now obviously as an investor you don’t want to feel bad for raising rents on people and you do need to take into account how much you’re allowed to raise each time you don’t want to be excessive. But the fact of the matter is that little old lady, yes she’s been a great tenant but the fact is if she had to go anywhere else in Cronulla, anywhere else in that area she would have to pay a $305 per week or more. So think about it as an investor, can you charge market rates, are you happy to do that because that’s the easiest way I found to increase your rents- is actually to charge what the market is willing to pay rather than discounting because you scared it’s not going to rent out. Tip number two is to add an air conditioner. So this happened to my friends who were living in apartment and they wanted an air conditioner, they were renting. And they said “we are willing to pay $20 more per week if you pay and put in air conditioner for us.” Now, $20 per week works out to about $1,000 per year. I was at Bunning’s the other day and I saw an air conditioner, reverse cycle air condition on sale for $600. Obviously you can get better ones and you would have to pay installation but looking at those figures, getting an extra $20 a week you could almost make your money back in a year or sometimes even less by adding in an air conditioner to your property. So that is definitely something that you want to consider. A reverse cycle air conditioner does cooling and does heating as well – then you could be raking in the benefits. Tip number three is to do a kitchen makeover. So we’re on a budget here, we’re not going to spend $10,000 on the kitchen but there are some simple things that you can do to give your kitchen a makeover without spending a lot of money. The first thing that you can do is replacing the handles in your kitchen. A lot of older kitchens have really old handles. You can replace them with brand new stainless steel ones, ones that are modern that look great and that will automatically make your kitchen look ten times better. You could paint your kitchen. So your kitchen is an old outdated colour )maybe it’s pink, maybe it’s blue, maybe just an old wood grain) you could consider painting over that, maybe painting it a fresh white to spruce up your kitchen. Another thing that you could do is to replace the bench top. Now you can get marble bench tops which are not actually the thick marble but it looks like the thick marble because what they do is they take a really thin slice of marble and then they basically do a layer of marble around MDF or particle board. So this is extremely affordable way to get a great-looking bench top without the hefty price tag. You can also look at replacing the taps in the sink to update the taps into make that look more fresh and you can even look at updating the stove top or the sink as well. So depending on your kitchen you may want to do all of these things or you may just need to do one of them- maybe it’s just the stove top, maybe it’s the handles, maybe you can paint the kitchen depending on what your kitchen is at. Look at what’s going to be in bring in the best return and make the biggest effect on your kitchen. When we renovated my parents house we increased the value by $75,000 to a $100,000 in the course of a month on a budget of less than $2,000. All we did in that kitchen to improve it was changed the handles and it already had a white bench top but had a wood grain around the bench top. So all we did was paint that wood grain white, putting handles on, cleaned it up and it looked like a brand new kitchen. The real estate agent actually asked us if we put in a new kitchen!!! Tip number four is to do a bathroom makeover. Now in this property that I talked about at the start where it was $300 a week and then it went to $350, the bathroom was disgusting. We used to call it their Winnebago bathroom because the walls weren’t in tiles, they weren’t even like gyprock or anything. They were like a wall that you would find in a caravan – some sort of plastic, I don’t even know what to call it. It had this blue tiger print walls and deep (ugly) green tiles and it was hideous. So we did paint job on that bathroom. We painted the walls and we painted the green tiles on the bath and we painted them white and then all of the sudden we had a new bathroom. So many times I’ve been into apartments, been into houses that obviously are not brand new and they’ve got these disgusting bathrooms, they are pink or they’re green or they’re bright blue or their bright yellow. They are just weird colours (things that used to be in fashion in the 90’s, 60’s or the 70’s) and people obviously don’t want to spend $10,000 or $20,000 to go ahead and revamp their bathroom. 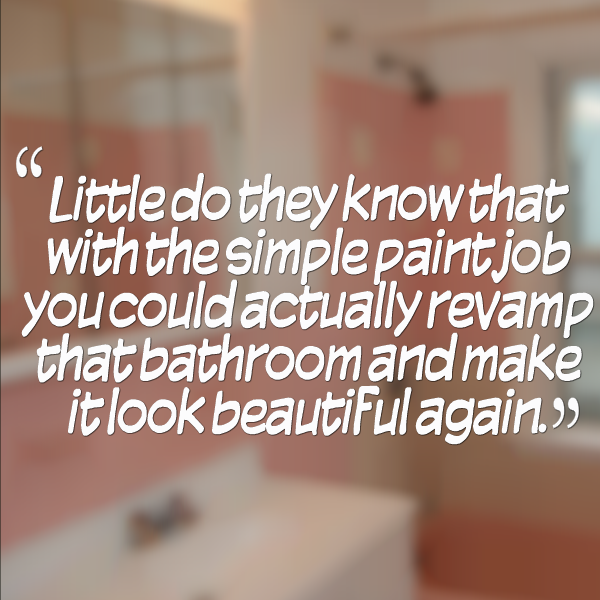 But little do they know that with the simple paint job you could actually revamp that bathroom and make it look beautiful again. So you can get tile paint to paint over tiles, you can paint the walls with a waterproof paint and you can look at either getting new handles and new taps for the vanity or if you have enough money go ahead and replace the vanity yourself. You can get cheap vanities for around $500-$600 and you can put in a brand new so you do not have the old one. So there is a couple ideas, a ways that you can revamp a bathroom on the cheap. 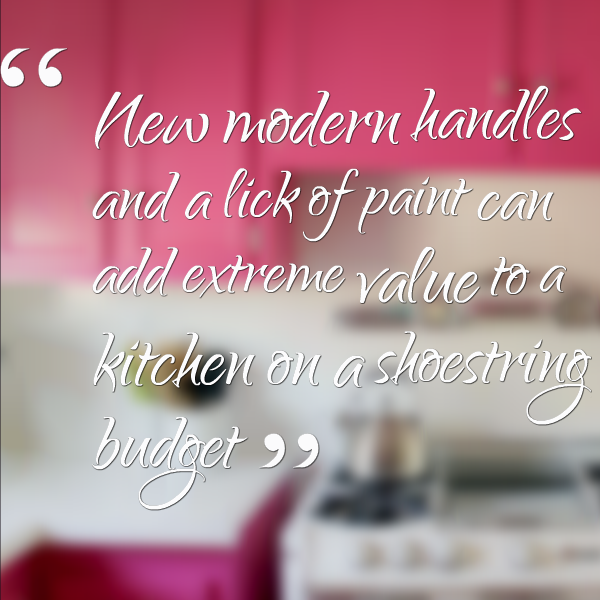 Tip number five is to add a fresh coat of paint to the entire house. This especially works when you’ve got a property that does not have a neutral colors. You’ve got a bright pink room and then you’ve got a bright blue room and then the laundry room is this dark black mocha color or something. And what happens is when you’ve got all of these stark colours and non neutral colours, you’re actually going to turn away some potential tenant. But if you have a light neutral colour in your property maybe a white or cream or something like that, because it’s neutral, because it’s light you’re going to attract more people. Now if you got two adults moving into a property and it’s a two bedroom, you got your master bedroom and then you’ve got your smaller bedroom which had previously been used for kids bedroom and is bright pink and you’ve got two guys moving in trying to live together how do you think guy number 2 who’s going to be sleeping in the pink room is going to feel about that? Obviously he is not going to be too happy to bring his girlfriend over to his bright pink room. So you need to think about your target market and try and paint your house so that appeals to the most tenants. Tip number six is to look at replacing the flooring. So we’re talking about new carpets, new floorboards or new floating floorboards. I recently had a mate who opened the shop and it just had this discusting floors and all they did was they went to Bunning’s and they bought floating floorboards. And so what these are, these are floorboards that just click together. They installed them in a day themselves for less than $1,000 and the floor looked amazing. It looked like real floorboards that have been there for ages and they are just floating floorboards that you could install yourself. Carpet you can do the same thing if you got old tattered carpet then look at replacing the carpet. Make sure that if you’re pulling stuff out (like getting rid of old carpet), talk to a quantity surveyor and look at getting a scrapping schedule done. Because whatever value is left in that carpet you may be able to claim as depreciation against shoe rental income and so forth. So look at replacing the floors, doing it in a cost-effective manner. Tip number seven is to ad an internal washing machine or dryer. This is especially the case in units but can also be the case in houses where you’ve got an external laundry and so forth. By adding an internal washing machine and dryer you could increase the value of that property. This can be easily done, usually in a kitchen or near the bathroom, you can add in because the plumbing is already there and it’s easier. Because a plumbing is already there its easier for a plumber to wire that stuff up and by putting them on top of each other you can put them in a closet and close the door. It doesn’t take up much space, guests don’t even know they’re there and a lot of tenants love having an internal washing machine and dryer in their property, they love it so much that they’re willing to pay for it. The first unit that I lived in did not have an internal washing machine or dryer and we were up two flights of stairs and it was two flights down to where the washing machine and dryer was. We lived there for six months and I have never lived in the unit with an external washing machine and dryer again. So it’s something that you should consider to potentially increase the rent, maybe you can get $5 maybe you can get extra $10 a week by doing it. Tip number eight is to convert a garage. Maybe you’ve got a three bedroom house and you can convert the garage into an extra living or rumpus room or into an extra bedroom or a study. Obviously, check with the local council laws whether you’re allowed to convert the garage into different rooms but that may be something you can do cost-effectively to add an extra room to the house and then put you in a next price bracket in terms of getting rental income for that property. You might only have a three bedroom house, you can change that to a four bedroom house, think of the extra rental income that you can command. But obviously speak to your council, make sure that you are not going to break any laws by changing a garage into a room. Tip number nine is to speak to you rental manager. A lot of people are thinking “Okay, I want to increase my rental income, how do I do it?” The best person you can ask is your real estate rental manager. Why they’re the best person to ask? 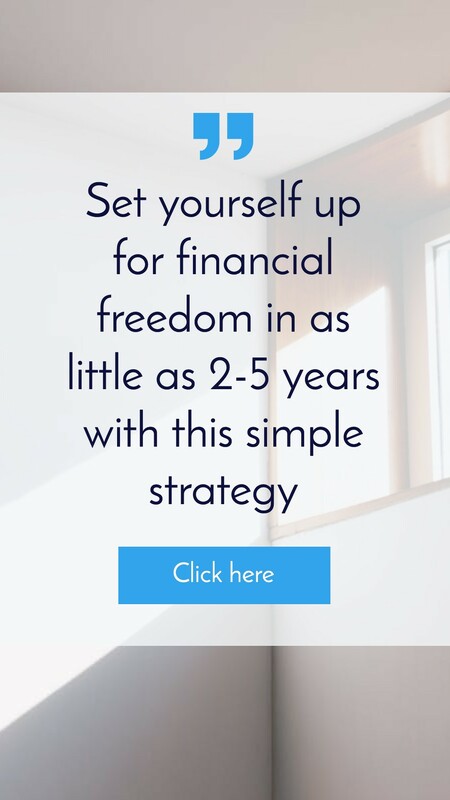 Because it’s how they spend their 9-5, 5 days a week doing- working in your market, working in the real estate market that you’re in, helping people. They’re going to open houses every single day they’re showing tenants around new houses, they know the area, they know their clientele, they know what tenants in the area want. And so you go to them and you say “Look Mr. rental manager, I’ve got a $1,000, I’ve got $2,000 how can I increase the rental income on my property, what do you think are the best spots where I can do it?” I’m sure that because they are your rental manager, they’re going to sit down and help you do that. So speak to your rental manager. Tip number 10 is to ask you tenants. So if you got good tenant, you’ve got long term tenants, or maybe tenants that had just moved in why not asked them and say “is there anything that this house is lacking that you would want?” and then obviously you can say look “well I’m happy to do it, that’s going to cost me a certain amount of money so I’m going to have to increase the rent, are you okay with that” and then they can say yes or no. By talking to you tenants, finding out what they want (like finding out that my friend wanted air conditioner and they are willing to pay more rent for it) you can increase your rental income and get a better return on investment. The best thing is that your tenants are telling you and so they’re willing to pay for it. You know that they are going to pay more for it and you don’t have to wait and see if the market will do it. You know because you’ve spoken to them about it and so that’s a great way to go. So there you have 10 ways that you can increase your rental income for your investment property on a budget. 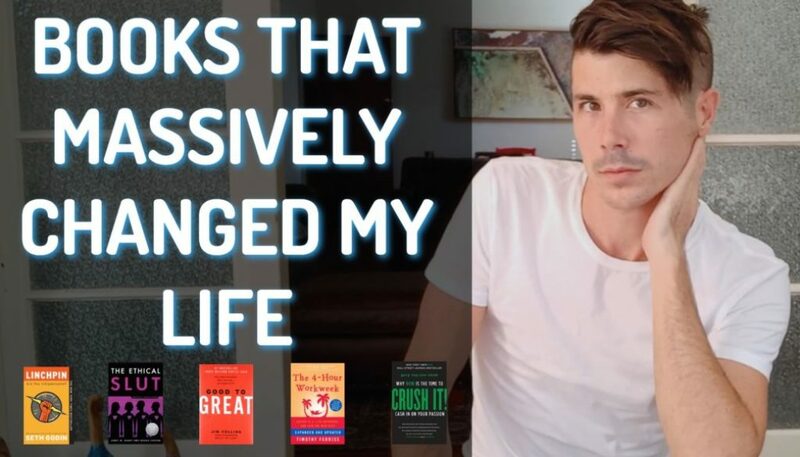 I hope that this has been extremely helpful to you. 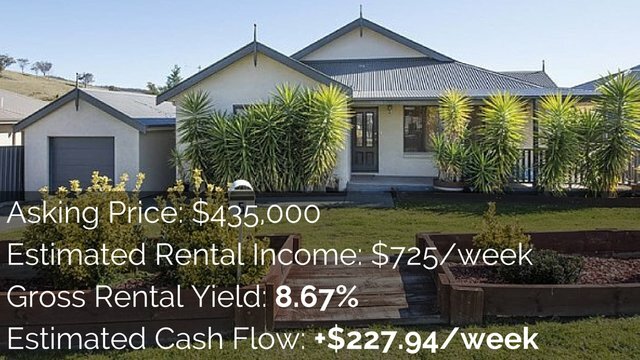 Increasing your rental income is a great way to make a property positive cash flow. A better way is to do your cash flow analysis before you buy to ensure the property will be positively geared. 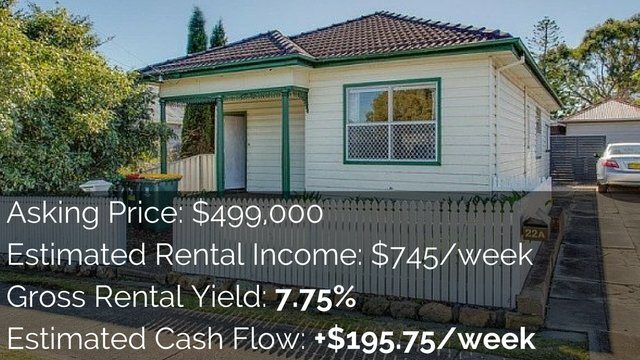 PropertyTools.com.au is full of great resources for investors. Get calculators and spreadsheets to help you discover opportunities to maximise your return on investment.